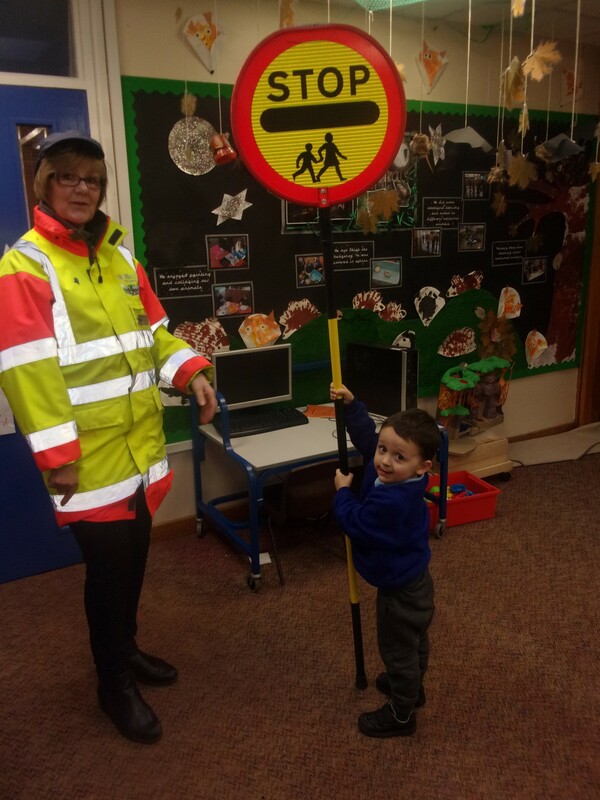 The Nursery children have been learning about how to cross the road safely. 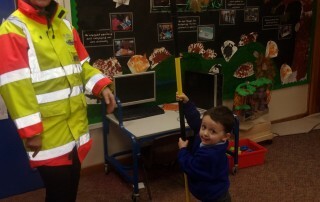 Mrs Francis dressed up as crossing patrol and talked to us about where we should cross the road near school. We also talked about the different people who help us in an emergency and how we can dial 999 for help.